The Aerospace Historical Society and the Graduate Aerospace Laboratories of the California Institute of Technology have a rich heritage in the preservation of the world history of aerospace and in the recognition of renowned aerospace pioneers. 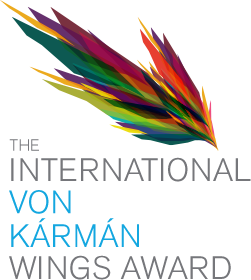 Since 1985 the Society has honored many aerospace pioneers with the International von Kármán Wings Award. The Aerospace Historical Society established an Academic Scholarship in 2010 in memory of its founder Dr. Shirley Thomas. 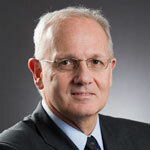 The award is presented annually at the International von Kármán Wings Award banquet to a student in aerospace engineering or a related science that shows promise for continued future contributions to the field. Reception 6:00 p.m. & Banquet 7:00 p.m. 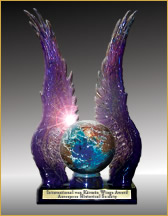 The International von Kármán Wings Award is designed and created by Donald Paglia, M.D., and casting is by Kalonite Sculpture Studio.